We are knowledgeable, determined and caring lawyers based in Halifax, Nova Scotia. We have years of experience in representing those suffering losses as a result of everything from motor vehicle accidents, medical errors, disability insurance denial, fire loss and insurance related disputes throughout Nova Scotia and the Maritimes. Estate planning (Wills) and related estate dispute resolution is also an important part of our practice as are select criminal law matters. We offer flexible fee arrangements, including contingency fee. Appointments are available after hours. At home appointments for injured and mobility challenged clients throughout Greater Halifax and most Nova Scotian locations can be arranged. Our office employs the latest technology, has ample free parking, is fully accessible and is easy to find. We know that when you need a lawyer, it is often as stressful situation is unfolding. We work to provide timely and effective advice to help you find the best options. We will examine all angles. We can be as flexible or as aggressive as required. We will listen. We can answer your questions. We will protect your interests. We can help. The moment after suffering injury is often one of shock. When there is a serious or catastrophic injury, the result is often a series of events that create long lasting changes in the lives for the injured and their loved ones. After you have received immediate care, new concerns arise and thoughts turn to the everyday reality of making an income and coping with one’s household despite the injury. Concerns about who will pay the costs of medical care and what will happen if the injuries do not heal as planned, are troubling. Your focus needs to be on healing and getting better, not financial worries. Having experienced and caring Nova Scotian based personal injury lawyers guide you through the process with seasoned advice, can ensure you do not suffer needless financial injury. Allen Law Inc. is here to help you, listen to your concerns and answer your questions. We have experience handling personal injury claims throughout Nova Scotia and if need be, we will travel to meet you. Initial consultations are free and in appropriate cases, no fees are paid until you have received your settlement. Are you facing the prospect of criminal prosecution? You need an experienced criminal defence lawyer in Nova Scotia. We have successfully represented accused individuals at all levels of Court within Nova Scotia. This includes representation in the Provincial Court, Supreme Court and the Court of Appeal. We have also appeared before various administrative tribunals and regulatory bodies. Criminal law services include assaults and threats, breathalyser and impaired driving offences in Nova Scotia, alleged domestic assaults, restraining orders (Peace Bond), defence of drug prosecutions (Controlled Drug and Substances Act), property offences, mischief, fraud, theft, sentencing and plea arrangements. Having a properly prepared Will that is enforceable and actually achieves what you want it to is a cornerstone of responsible estate planning. Having a proper Will in Nova Scotia is in many ways an expression of caring for your loved ones as it makes dealing with your wishes and estate much easier and cost efficient. Allen Law Inc. is able to provide professional advice in the preparation of Wills and Estate Planning to maximize your opportunities for a smooth transition that will achieve your wishes. This includes setting up trusts for minor children or other dependents. Allen Law Inc. has experience solving Nova Scotian estate disputes. If you have been removed as a beneficiary or are a dependent or a family member of the deceased and your needs have not been taken care of in a Will, you should seek legal advice to see what, if any, remedies you may have. Typical issues we deal with involve Will challenges as to whether the Will was properly valid or the person giving instructions in the Will had the capacity to fully understand what they were doing. We look at whether there was undue influence by any others that were involved in the Will making process. As part of reviewing any Estate claim, we also look at quantum merit claims whereby you may have provided extraordinary help to the deceased and as such have an appropriate claim. If you are like many people, often most assets may consist of life insurance. If you and your beneficiary, such as a spouse passes on, often one then leaves the life insurance to your children. If the children are minors, they would be entitled to all of the insurance proceeds this when they reach the age of majority. This may not always be a good idea! Life insurance can involve a large amount of money and would certainly grow with interest by the time the children reach the age of majority. Are you are having problems with an insurance company on a claim covered under a Homeowner’s Insurance or Occupier’s policy? If you are, it is important to get appropriate legal advice. Your ability to get full value for your claim (that the insurance you have paid for should provide), may be at risk. As Nova Scotia homeowner’s insurance lawyers, we help people protect and enforce their rights to insurance coverage in a variety of situations, particularly after an initial denial of a claim. These include a fire loss claims throughout Nova Scotia and the Maritimes, theft or burglary losses, flood and water damage insurance claims, and damage caused by wind, ice, snow or hailstorms. Litigation is a process of solving disputes. While litigation generally refers the court process, this is simply one avenue to take to resolve an issue. We look at all angles. We seek to use negotiation and mediation in addition to advocacy in the courts when striving to obtain the most effective result for your unique needs. We have experience assisting individuals and businesses solve employment and contract based disputes along with tort based claims. Our experience with mediations, negotiations and litigating matters throughout the court process in Nova Scotia, helps us craft unique solutions to complex problems. If you believe a dispute is brewing, it is important that you deal with it as early as possible. Often, seasoned advice and certain actions can greatly affect whether or not issues are resolve quickly and efficiently or start to spin out of control. At Allen law Inc., we seek to provide frank, timely and common sense advice. The police in Nova Scotia are well trained and have a difficult job to do. Generally, they handle difficult situations with professionalism. Nevertheless, there are circumstances when a member of the public may feel they were dealt with inappropriately by the police, or in some circumstances injured by aggressive or inappropriate police actions. As the dictum goes, with power comes great responsibility. I am a member of the Nova Scotia Barristers Society and in 2006, became a member of The Law Society of Upper Canada. 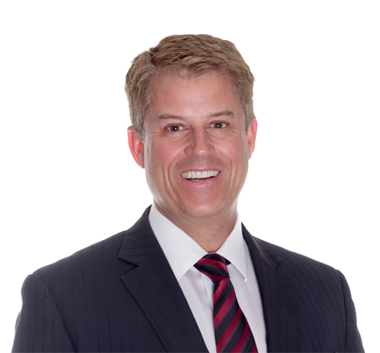 Since 1993, I have successfully represented individual, corporate and institutional clients before all levels of court in our province and in front of various boards and tribunals. I have experience dealing with insurance, personal injury, employment, criminal and estate litigation. In addition to my law society membership, I maintain memberships in the Nova Scotia Criminal Lawyers Association the Atlantic Provinces Trial Lawyers Association and the Canadian Personal Injury lawyers Network. Linda is our chief administrator and paralegal. She has decades of law office experience and is the both the glue that keeps things together, and the oil that ensures we run smoothly. All done with a smile, and a calm professionalism! 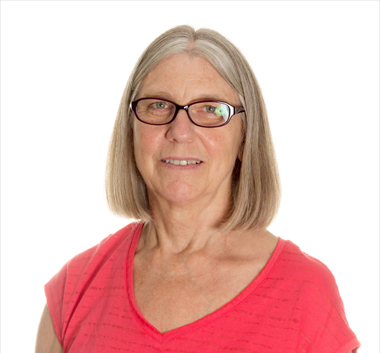 When not at AllenLaw Inc., Linda enjoys back country camping, canoeing, and hiking. She also has the travel bug and especially enjoys spending time in Havana Cuba, where she had made many friendships.